Sonos Inc. (SONO) stock plunged more than 16% in the premarket session after the wider-than-expected third-quarter loss. Investors had widely expected the company to post upbeat results as Sonos is reporting results for the first time as a public company. The stock remained on the positive note for Monday and ended in green, but new product launches and product mix dragged the revenue down. The company’s net loss widened by 85% year-over-year. Revenue declined by 6.6% due to new product launches and/or product mix. Sonos sold 886,514 products representing 11.4% year-over-year growth. New product launches cannot carry over the benefit to the quarterly results as revenues are not recognized until the date of general availability. This can push revenue into another quarter thus highlighting new product launch impact. The launch of Playbase product benefited the company in the previous year quarter, while it dragged down revenue in the latest quarter. Product unit growth climbed by 11.4% helped by a 25% jump in wireless speaker products sold and by the Sonos One product. During the third quarter, Sonos launched a three-in-one speaker Sonos Bearn and began shipping the product toward the end of third quarter. Also, the company announced its next-generation Sonos Amp that meets the needs of the custom installation and technology integrator channel. Gross margin decreased by 2.3 percentage points due to its investment in accelerating new product cadence. Sonos predicts long-term price stability to be an enduring characteristic of its business. Looking ahead into the full year 2018, Sonos expects revenue in the range of $1.109 billion to $1.114 billion and adjusted EBITDA in the range of $59 million to $62 million. 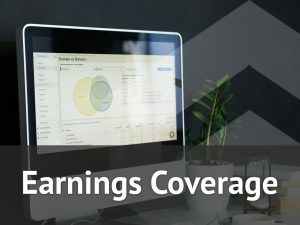 The company is focused on delivering a compound annual revenue growth rate of at least 10% and growing adjusted EBITDA at a compound annual growth rate of at least 20% over the coming years. Shares of Sonos ended Monday’s regular session up 13.28% at $21.24 on the Nasdaq. The stock has risen more than 6% since August 2, 2018.